Let me start off by saying, congratulations! We finally made it to the other side of winter and spring has officially sprung. We are now in that glorious space in time where we are not complaining it is too cold and we have yet to complain that it is too hot outside. Relish in this temperate weather and enjoy your time outside. 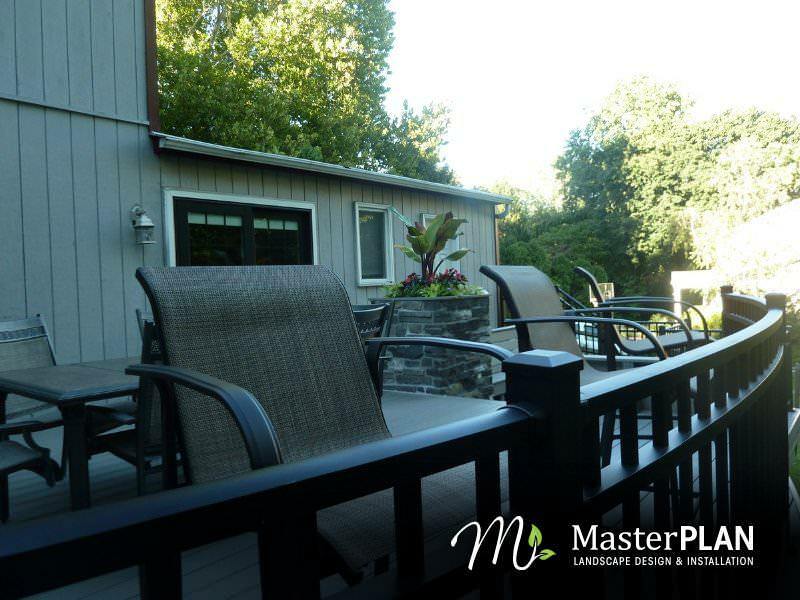 Are you going to enjoy soaking up your much-needed vitamin D on a deck, or perhaps, a patio? What’s the difference? Truth is, there is a big difference between decks and patios, and why you might benefit from one more than the other. For your reading enjoyment, we have compiled a list of the top 5 reasons to choose to build a deck rather than a patio. Drum roll please! 5) A deck is considered an outdoor extension of your indoor living space. Decks are typically built to the same level as your doorway from inside the house, so navigation is easy-peasy with no pesky steps in the way. Unless your shoes are untied, you won’t have to worry about tripping over anything while carrying your sangria out to the dinner table. Patios are built directly on the ground level of your property, so if your yard is uneven, you are going to have to level the ground before any installation can take place. The problem can be solved easily by building the structure up to where you need it to be! 4) In the perfect world, we would never have to maintain any outdoor projects, but unfortunately this is not the case. Everything requires maintenance, but the level of attention isn’t always the same. With patios, you have to be concerned with pulling weeds and spraying mildew in between the cracks during the warm months, and possibly witnessing the rise and fall of the pavers in the winter! 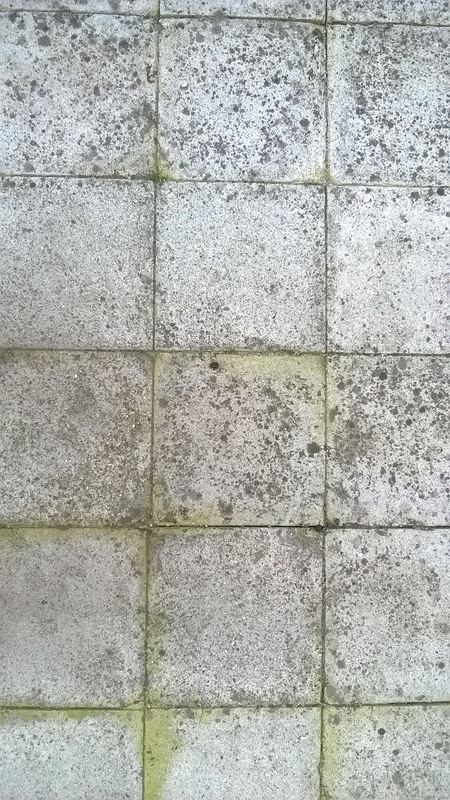 As for concrete patios, it isn’t a question of if it will crack, but when it will crack. Yes, decks require power washing and sealing or staining, but that is pretty minimal compared to the patio maintenance and worry. If your deck is built properly, the materials should have enough expansion/contraction room for the cold months and the warmer months. 3) Aesthetics. Decks add architectural interest to a backyard like no other feature can. Deck design has come a long way since simple rectangular pine decks of the past. Decks can be built out of several different materials such as pressure treated lumber, exotic hardwoods, composite materials or cellular PVC. The plastic based decking materials have an amazing lifespan, are easily maintained and can be molded to contour your property or landscape design to spark ooh’s and aww’s from your family, friends and neighbors! This is where an experienced deck and landscape designer would come in handy; experience is key! I know that patios can be aesthetically pleasing too, but there is something to be said about a structure that raises out of the earth to create another playing field. 2) Where do you keep your lawn mower, your weed whacker, your seed spreader, outdoor furniture or pool esentials when not in use? If you are a fan of killing two birds with one stone, you can add an under deck storage space to house all of your fun outside toys! If planned properly, the under deck space can serve a great purpose instead of remaining a wasted space. With a ground level patio, you don’t have the options for hidden storage, so you now have to start thinking about a shed or garage for your lawn mower to live in. 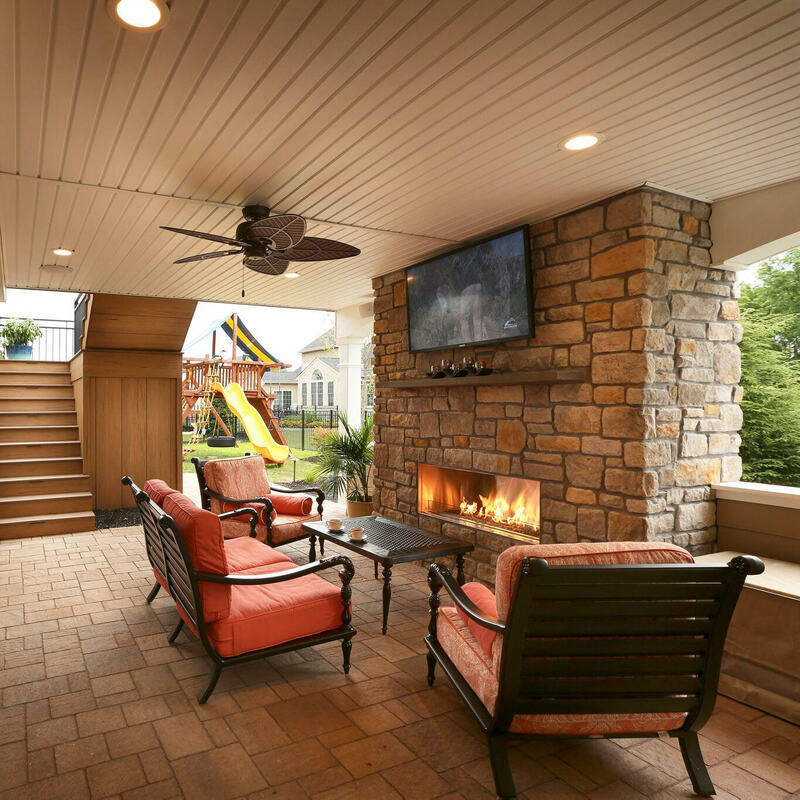 1) And now…the #1 reason to choose a deck over a patio…safety! There are codes that need to be followed no matter what is being built on your property. Patios do not require railings or gates because they are built on the ground level of your property. There are great benefits of having a wide open space like this, but now you have to keep your eyes peeled to make sure your kids stay put and Spot the dog doesn’t go running off! With any deck to be code compliant, a railing must be installed and gates can be an essential addition. You can have the comfort of knowing that Jimmy and Sally can play outside on the deck without having them wonder off to explore. So there you have it folks, the top 5 reasons why a deck rises over a patio. If you are in the idea phase of your outdoor project, don’t hesitate to contact MasterPLAN Landscape Design to add value to your home and create an amazing outdoor living space for you to create memories with your loved ones. 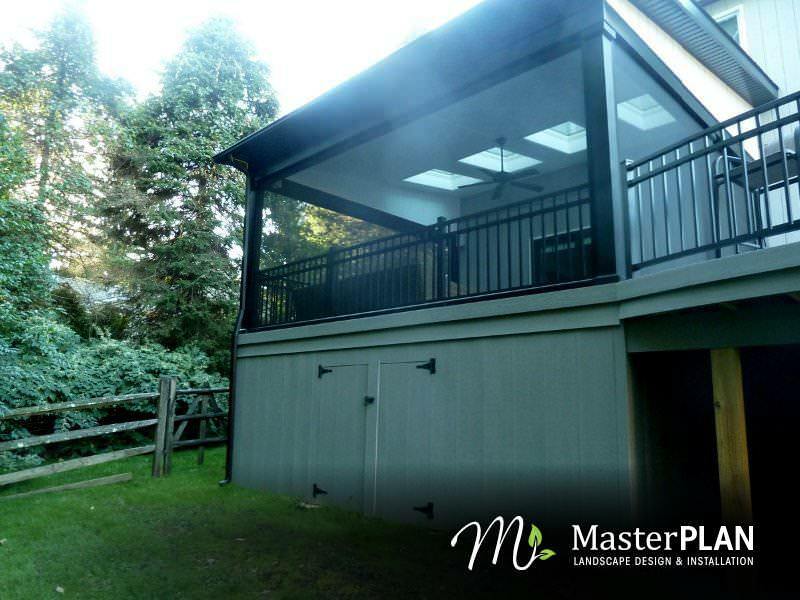 Focusing in the Poconos, Lehigh Valley and down through Philadelphia, MasterPLAN is ready to get your project underway with design, experience, elbow grease and know-how! Call us today!